Trevor Noah, the host who replaced John Stewart on The Daily Show, has written an extraordinary book about his experiences growing up in South Africa. 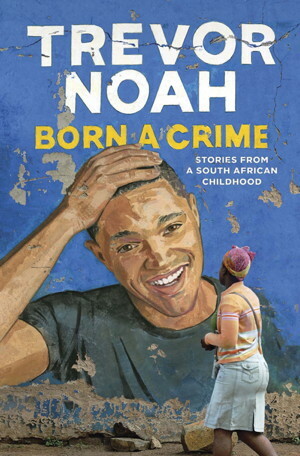 The title of the book is Trevor Noah: Born a Crime. I enthusiastically recommend it! Trevor Noah was the offspring of a South African mother and a white man who was her friend but not her husband, at a time when in South Africa, relations between the two races was against the law. He was raised by his adventurous, rule-defying, and yet deeply religious, caring, and wise mother. She taught him not to believe in limits. This wonderful image and great insight explains so much about how Trevor Noah could come from apartheid South Africa, where he was only able to make it as a local hustler in the ‘hood in his early adult life, to become the talented, creative and quick-witted host of The Daily Show. This is true for so many people. When I work with clients to figure out a better career direction, one of the first things we do is to imagine a different future, one that plays to their strengths. I ask them to imagine a workplace they would want to go to every day. I ask them to think about a mission or missions that excite them. We talk about what they would do if they won the lottery. We talk about how they would fix their present job. We mine their pasts for information that will unearth strong interests and motivators, as well as aptitudes or natural talents that will help them rise to the top of their chosen field. This doesn’t always get them everything they want, but usually gets them a lot closer to a work life they will enjoy. 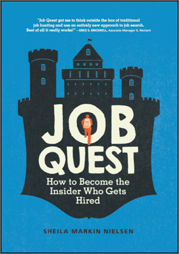 If you have not had the experience of imagining a different and better future for yourself, it can be very hard to dream of a career that goes beyond the norm you know in the corner of the world where you live and grow up. Ask yourself what you want to do in life and then stretch that idea further. If you can dream it, you can try to work your way toward it. Identify the goal, and then plan the steps you want to take and start out on that path. Even if you do not end up getting to the exact goal you set, you are on a new and challenging path, which is in itself more gratifying. I want to be clear. Just because you have an idea of what you want to accomplish in your career doesn’t mean that you will actually get there. But often the goal is less important than you might think, because the process itself is also gratifying. In my own life, when I was in college, I watched some of the Chicago Seven Trial in federal court. After that, I got it in my head that I wanted to be an Assistant US Attorney. At that time being a prosecutor was not considered to be a viable career path for a woman. It was a goal that was beyond the range of what I thought was possible. But after seeing a few days of that federal trial, I was so excited, I didn’t care that it was not supposed to be a good career for a woman. I did not know I would actually be able to achieve my goal, but I took the necessary steps to try to get there by studying hard for and taking the LSAT, going to law school, landing a job as an Assistant State’s Attorney, and working in the Official Misconduct Unit because it was similar to the work done by federal prosecutors. I also networked in a creative way to meet key people who could help me interview at the U.S. Attorney’s Office. I am happy to say I was able to achieve my goal, and it was a fulfilling job. But even if I had never become an Assistant US Attorney, I had decided on a path I believed in and felt challenged by, and that was gratifying in itself. If you believe in the road you are on, the journey is actually part of the reward. So dream beyond the highest rung! You might surprise yourself.